Ravenwood Sporting Clays | What is Sporting Clays? Sporting Clays is often called "golf with shotguns" because you'll shoot a round on a landscaped course with a number of target stations. Just like golf, it can be enjoyed individually or in a group. You can take a scorecard with you for some friendly competition or you can just head out to improve your skill in a safe, controlled environment. 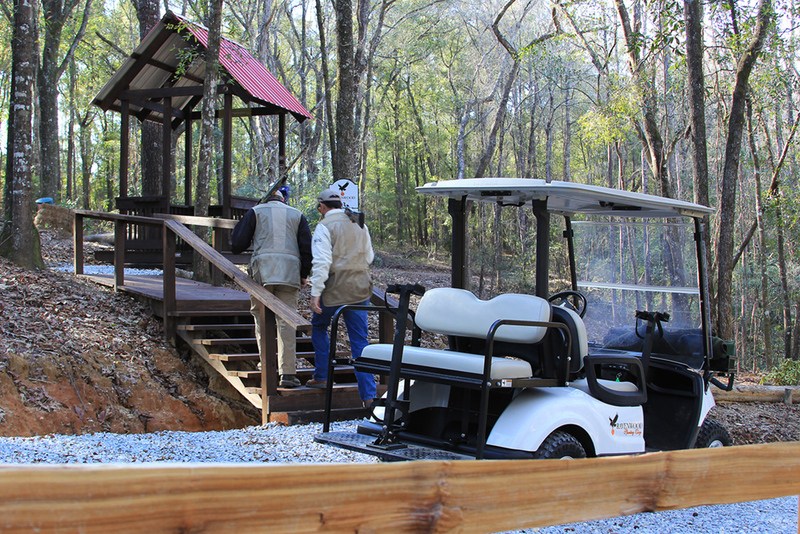 A round on Ravenwood's target course consists of 50 pair of Sporting Clays distributed among 14 stations along our trail through the woods. After loading up your cart, you can warm up on our three-level wobble deck before heading down the path to the first target station. 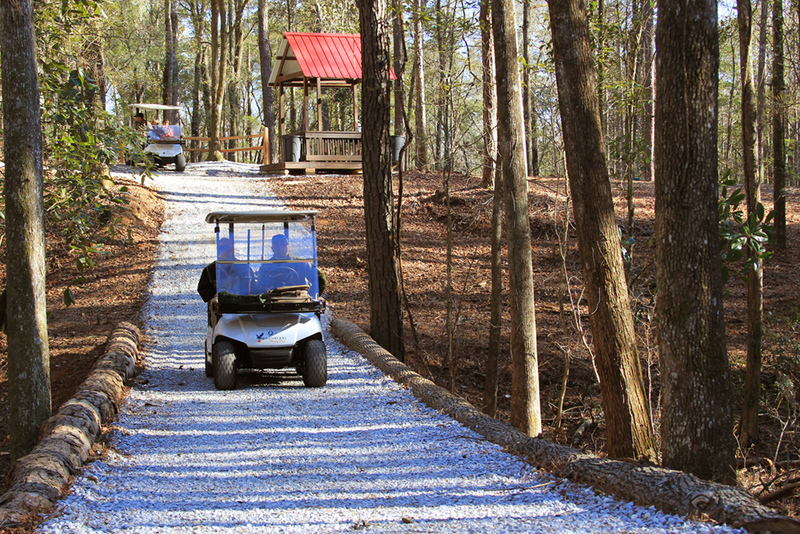 Each of our professionally-designed stations is sculpted into the natural wooded environment to test your skill at hitting pairs of clay targets. Our traps are carefully blended into the range's foliage to keep things challenging. The shooter controls when the targets will fly. 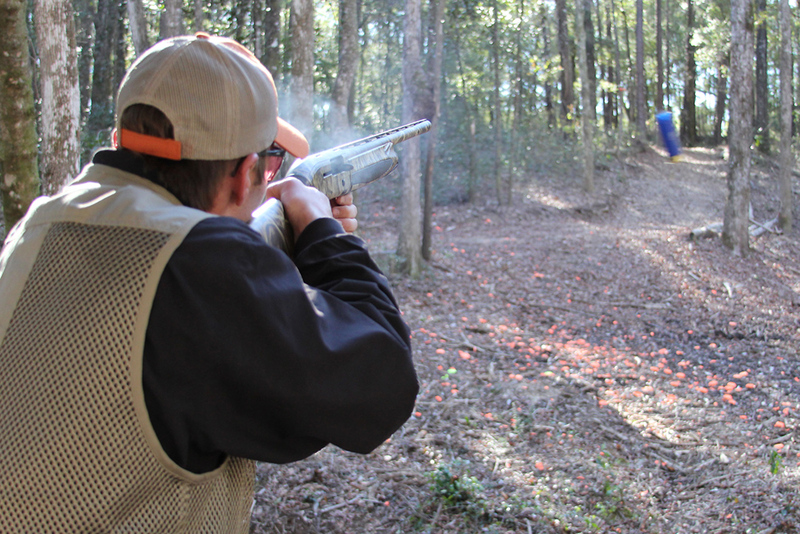 At each station, they first see a "viewing pair" of sporting clays to give them an idea of the speed, trajectory, and direction of their targets. The viewing pair is followed by several rounds of scoring pairs for shooters to hit. Scoring pairs are either launched as a "true pair" (which fly at the same time across the range) or as a "report pair" (the second clay is launched at the sound of your first shot). Experienced shooters should be able to shoot a round in about one hour. Taking a more leisurely pace, a round can be completed in about two hours.